Fred Setterberg is the author of Lunch Bucket Paradise, The Roads Taken, and Sam Maloof: 36 Views of a Master Woodworker. He is the coauthor with Lonny Shavelson of Under the Dragon and Toxic Nation, and the editor of Travelers' Tales America. His essays, stories, and journalism have appeared in The Southern Review, The Iowa Review, The New York Times, The Nation, The Utne Reader, The Chicago Reader, The Boston Phoenix, and scores of other national and regional magazines. Fred earned his B.A. in English at the University of California at Berkeley and his M.A. in Creative Writing at San Francisco State University. 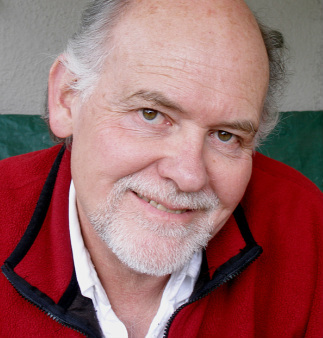 He is a former staff writer for the East Bay Express and has been a visiting writer with the Chautauqua Writers Center. He lives in Oakland, California. Fred’s writing has won an NEA fellowship; the Faulkner-Wisdom Essay Prize; fiction awards from Solstice Literary Magazine, The Florida Review, and Literal Latte; the national arts writing prize from the Association of Alternative Newsweeklies; feature-writing awards from the California Newspaper Publishers Association; and a citation from Project Censor for one of the year’s best “under-reported” stories for his coverage of U.S. military policy in Central America in Mother Jones. Lunch Bucket Paradise made the shortlist for the 2012 William Saroyan International Prize for Writing, given by Stanford University Libraries and the William Saroyan Foundation. The awards are intended to encourage new or emerging writers and honor the Saroyan literary legacy of originality, vitality and stylistic innovation.